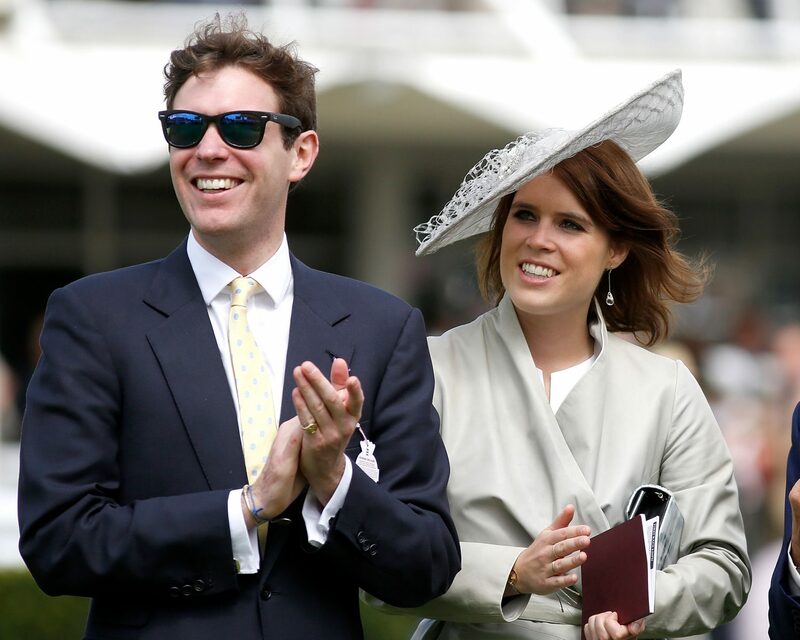 When Princess Eugenie marries her fiancé, Jack Brooksbank, at St. George’s Chapel on October 12, it will mark the second major royal wedding this year, and a beautifully planned one at that. The 28-year-old granddaughter of the Queen recently revealed to British Vogue that she’s already locked in a British designer to create her wedding dress, though she’s not yet naming names. Eugenie and Brooksbank announced their engagement back in January, and with it, the decision to wed at St. George’s Chapel, which also happens to be the venue where her cousin, Prince Harry, married former Suits actress Meghan Markle in May. Speculation surrounding Markle’s dress was naturally rampant, with Givenchy’s new artistic director, Clare Waight Keller, ultimately receiving the honor of creating the now-iconic gown. Her second gown of the night, which she changed into for the reception, was created by British designer Stella McCartney. Which means that bets on Eugenie’s look and designer will also probably be quite widespread in the lead-up to her October wedding. Of the details that have been made public already, perhaps the most intriguing is the fact that the couple is opting to invite 1,200 people from across the United Kingdom to partake in their big day. The reception will be held at the bride’s family home, Royal Lodge in Windsor, and her older sister, Princess Beatrice, will act as her maid of honor. As a modern—and conscientious!—twist, the wedding will also be entirely plastic free. Be the first to comment on "Princess Eugenie Drops Hint About Who Will Design Her Wedding Dress"